This is probably my favorite picture. 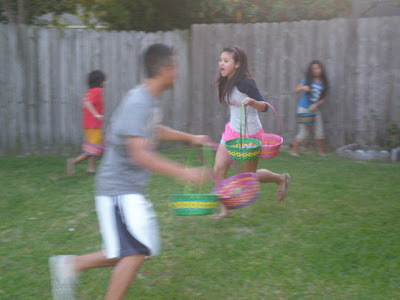 It captures the frenzy of finding the eggs. I am very happy that Austin & Amber played. They actually had double duties. Amber was looking for eggs for Madison and Austin was hooking Adam up.